As St Mark James training providers, we proudly offer stand-alone CPR courses that do not include any first aid training or certification. 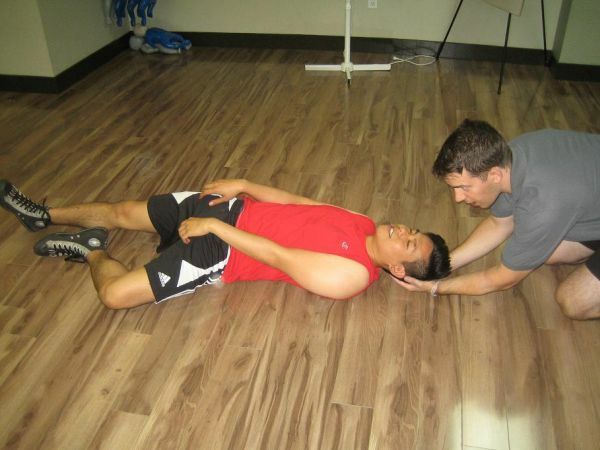 Our CPR only classes vary in length from 4 hours to 8 hours depending on the level of training. Automated external defibrillator training I is included in the course. These CPR classes meet workplace requirements. Rescue techniques taught in this course meet the latest standards as provided by the International Liaison Committee on Resuscitation (ILCOR) and St Mark James. This page will outline the various types of CPR courses available in Grande Prairie, Alberta in a stand-alone program. This CPR level can only be taken with childcare first aid. This level teaches participants infant and child rescue techniques. This course cannot be offered in a stand-alone format. To register for any of these courses in Grande Prairie, Alberta, select one of the classes from above or from the main menu. Registration can be completed by calling in during regular office hours or by registering on-line any time. Participants that successfully complete any of these courses in Grande Prairie will receive a workplace approved award that is valid for 3 years. Certification meets ILCOR, workplace and St Mark James standards.